Deep healing and cleaning process. Integration of Amazon Traditional Medicine and Psychospiritual techniques. Transpersonal experiences. The Ayahuasca Retreat is an authentic, intense, profound and meaningful healing experience and an opportunity to explore the spiritual dimension. In the Ayahuasca Retreats we use different spiritual technologies that will allow you to access to amazing states of expansion of consciousness, these states will help you to explore the depths of your being and will give you the possibility to see beyond the limits of ordinary state of consciousness. To participate in an Ayahuasca ceremony facilitates the connection with the deep intelligence of your body, with the self-regulation ability of your own organism, and can offer you a deep detoxification experience of body, mind and spirit. An experience in an ayahuasca retreat can help you to see your life more clearly, help you to overcome existential conflicts and heal traumas from the past. In addition, the experience in an Ayahuasca retreat together with an adequate process of interpretation and integration of the experience, can help you to live life more fully and see more clearly your path of self-realization. Our commitment and training in the art of giving Ayahuasca medicine is a permanent process, and is linked to a constant study of the structure of the psyche and the soul, of the deep psychology of the human being and of transpersonal explorations. 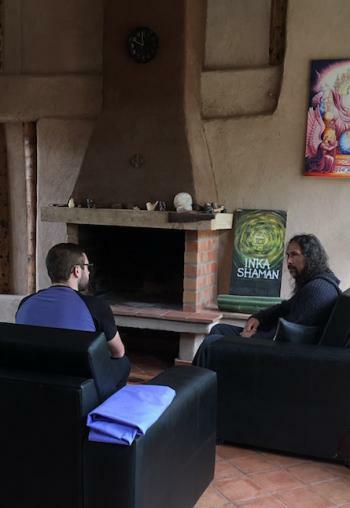 The art of giving Ayahuasca medicine is our vocation, and our goal is that all participants in Ayahuasca retreats feel completely confident and in a completely safe setting. The medicine that we use in the Ayahuasca ceremonies is prepared in Pucallpa, in the Amazon jungle, by authentic ayahuasquero shipibos, and is cooked exclusively for our use. In the cooking of our medicine, only two plants are used: Ayahuasca (Banisteriopsis caapi) and Chacruna (Psychotria viridis). We do not use any other additive plant. It is very important for us the quality of ayahuasca medicine that we use in our ceremonies; therefore, the person who cooks our medicine is a person of our total confidence and works exclusively with us. The medicine is prepared in a Shipibo native community and cooked in the traditional way. 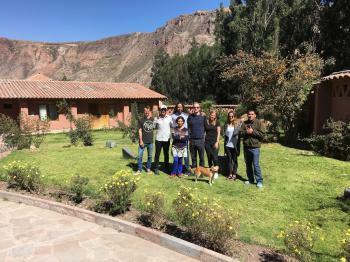 Thanks to the fact that there is maximum availability for 6 people, you will definitely have the opportunity to fully experience all the benefits of the techniques used during Ayahuasca retreats. In the Ayahuasca retreats it is included to participate in a completely personalized Integration Therapy, where the participants are advised, so that, they can assimilate, interpret, understand and integrate their experiences lived in the Ayahuasca sessions. All the participants are well prepared, so that, they can live a full and profound experience. 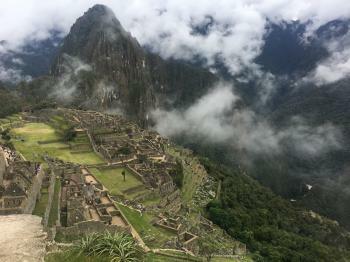 "To participate in the Ayahuasca Retreat is an opportunity to overcome existential conflicts and to solve psychological and emotional problems"
In this Ayahuasca retreat you will have the opportunity to visit Machu Picchu and you can directly experience the magic of this mysterious place. Our Ayahuasca retreats include 2 Ayahuasca ceremonies and one San Pedro ceremony that includes the assistance of an Andean priest who will offer an ancestral ceremony of offering to Mother Earth, during the experience with San Pedro we will walk to a place at the shore of a river, near a beautiful waterfall. 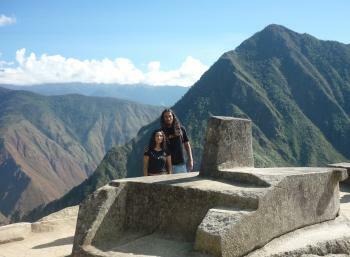 After all the ceremonies you will go to visit Machu Picchu. This Ayahuasca Retreat includes 2 ayahuasca sessions and one San Pedro ceremony. It is a 5 days Ayahuasca Retreat and it includes a Pachamama (Mother Earth) offering ceremony, which is guided by an Andean priest (Pampamisayoq). This ritual is part of the experience with San Pedro medicine, corresponds to the initial part of the process with San Pedro medicine. 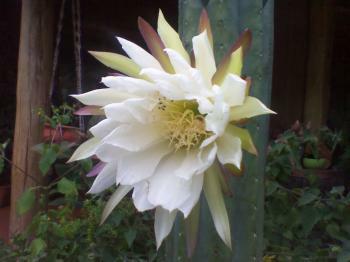 The San Pedro allows working aspects that it is not possible to work with ayahuasca medicine, in addition, the state of consciousness facilitated by San Pedro helps us to understand the experience with ayahuasca and, in a certain sense, helps us crystallize the learning obtained by the ayahuasca experience. 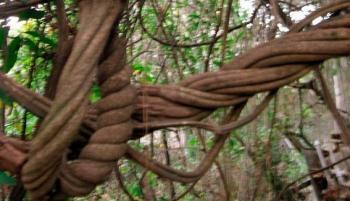 This is an Ayahuasca Retreat including 3 ayahuasca ceremonies. In this retreat you will explore the sacred spiritual world of Ayahuasca. This is a shamanic journey and at the same time it is a healing a therapeutic and psychedelic process. In our Ayahuasca Retreats we integrate ancient traditions of wisdom from the Amazon jungle, traditons of wisdom from Chinese, and contemporary Psychospiritual Therapy. It is also included sessions with Hipnagogic Deep Trance Light Machine in order to help your brain to produce endogen DMT and to help you to explere amplified states of consciousness. This light machine is complementary to Ayahuasca ceremonies. An Ayahuasca Retreat is a psycho-spiritual therapeutic process with the purpose to help to the participants to reconnect with the healing capacity of the own organism, and to help to connect with the higher Spiritual Self. You will participate in two or three ayahuasca sessions, where it is possible to experience a deep process of introspection, accessing to expanded states of consciousness. It is an inner journey that puts us in contact with unknown areas of the mind and with the depths of our Self. Our Ayahuasca ceremony is an integration between the traditional medicine of the Amazon jungle and a Psycho-spiritual Therapy methodology. It means that the Ayahuasca ceremony includes some elements coming from ancestral wisdom and some elements from humanistic, existential and transpersonal psychotherapy. 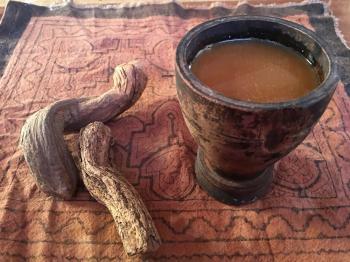 The Ayahuasca session is the most important aspect of Ayahuasca Therapy. Ayahuasca Retreats are a kind of short therapy where the main objective is to live a healing and transformative experience which allows us to connect with the self-regulating capacity of our own organism, and opens a door to our inner world and to the spiritual dimension. In an Ayahuasca retreat it is possible to live very deep experiences of purification, of psycho-emotional unblocking, and it is also possible to live transpersonal experiences or psychedelic peak experiences. It is a process of exploration of the internal psychic reality, a journey of exploration into the world of Ayahuasca. At the Sapan Inka Retreat Center we have had the opportunity to welcome many people from all over the world. Many of you come to us after making long journeys, motivated by your desire and interest to live an experience with ayahuasca medicine, although not all arrive with the same type of motivation. Our deepest intention is to do everything possible, so that the people who come to us can live a full experience during the ayahuasca retreats, in that sense, we do everything possible to give you information, so that you can have an adequate preparation from weeks before the ayahuasca retreat, and during your stay in our house, we provide everything you need to get the most of your healing experience. However, we consider that the most important phase of the ayahuasca healing process corresponds to what we call the post-diet, that is, the period including the days after the ayahuasca sessions. During the days or weeks after the ayahuasca retreat, people have the possibility to assimilate and integrate their experiences, although, the truth is that lot of people do not know exactly how to do it. Therefore, it is a very important part of our work as a therapist, to be able to advise and help people, so that they can properly integrate their experiences into their daily lives. Why small groups in the Ayahuasca Retreats? Experience has shown us that the Ayahuasca Retreat cannot concentrate many people at the same time, if our intention is to provide psychological and spiritual assistance to every participant. For that reason, the maximum capacity of participants in our ayahuasca retreats is six people. Thus, it is possible to talk deeply with each participant during all the retreat, it means that from the first moment you arrive to our house, we will have a private conversation with you with the intention to know a little bit more about you and to know how to help in the process, to know what your motivations and intentions are, and so, to be able to give you the more convenient support, directed and specially adapted to your needs. The conversations are private. 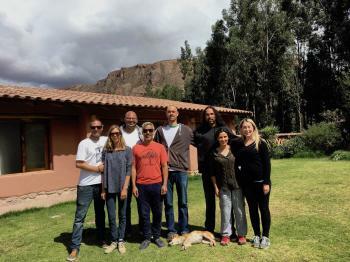 The Sapan Inka Ayahuasca Retreat Center is located in the Sacred Valley, Urubamba, Cusco, Peru. The house where we organize our retreats is a very special place surrounded by beautiful sacred mountains, a sacred river and it is on the way to Machu Picchu. We consider as a part of our responsibility, preservation of traditional knowledge of our ancestral culture, and also to give to the participants in the ayahuasca retreats an opportunity to know more about our ancestral system of healing. We use teacher plants (Ayahuasca and San Pedro) based on the ancestral amazon and Andean knowledge. To cook the medicine it is used just two plants: Ayahuasca vine (Banisteriopsis caapi) and Chacruna leaves (Psychotria viridis). We don’t use any other plant for the brew. We are a Peruvian married couple. We are psychologists and therapists. We focus our work on the integration between traditional Amazonian medicine and psycho-spiritual therapy (Humanistic and Transpersonal Psychology). 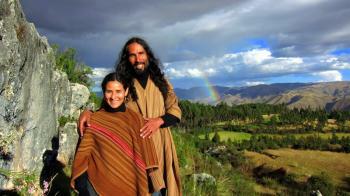 We are founders of the Sapan Inka Retreat Center, where Ayahuasca Retreats have been organized for more than 10 years. Our job is to advise and guide people before, during and after their experiences in ayahuasca sessions. Our path of learning in the art of giving Ayahuasca began in the 90s. Initially we sought greater self-knowledge and possibilities of psychological and spiritual growth, we wanted to heal ourselves and to be able to grow and mature spiritually. Eventually we were assuming ever more commitment to our work, and over time we developed a technique or therapeutic method that integrates the traditional uses of ayahuasca medicine and certain knowledge and techniques from contemporary psychotherapy. We currently organize 5 and 6 days Ayahuasca Retreats, where it is possible to be part of a consciousness exploration journey and a discovery of the spiritual dimension.